" Business Results Improvement for the Precast Industry "
The precast industry faces many tough management challenges in strategy, competitive position, product and service differentiation, innovation, technology, people, cost structure, process improvement and risk management. The mandate of MJS Management Services is to provide the precast industry with a source of ideas and implementation assistance to overcome obstacles and accelerate progress. Senior management level business advisors with a strong knowledge of the industry are in short supply. MJS Management Services fills this gap. Our role is to bring very effective options, workable answers and implementation techniques that your management team might not otherwise have considered. Because we know the industry, we don't have to be educated on fundamentals at your expense and we avoid recommendations that don't apply to the unique needs of precast. 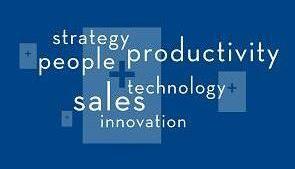 We deliver practical, insightful and action-oriented solutions that produce results. Sales programs and market position. Whether measured by increased market share, improved margins, lower costs, streamlined processes, improved productivity or stronger teams, our work leads to increased value to owners and shareholders. Our focus on the precast sector means that we quickly understand your issues and provide realistic recommendations and action plans.